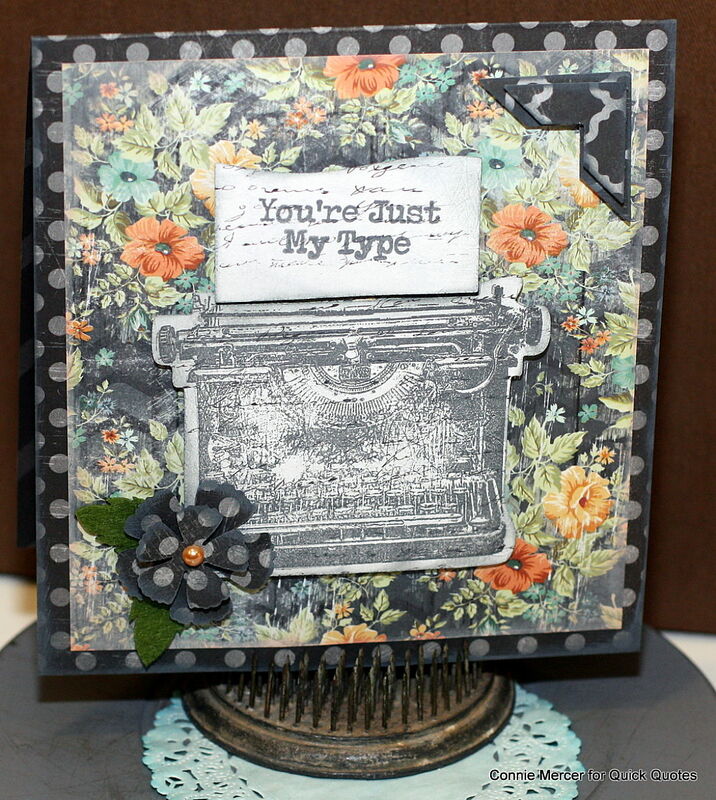 Hi, Connie here with a card using the 49 Shades of Grey Collection by Quick Quotes. This is one of my favorite paper collections by Quick Quotes. The colors are gorgeous together!!! The typewriter is stamped with, a brand new, Coal Miner PowderPuff Chalk ink by Quick Quotes. 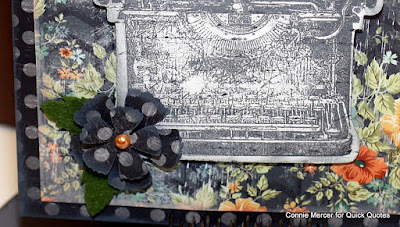 The inside mat was shade with Peach Tree PowderPuff ink. 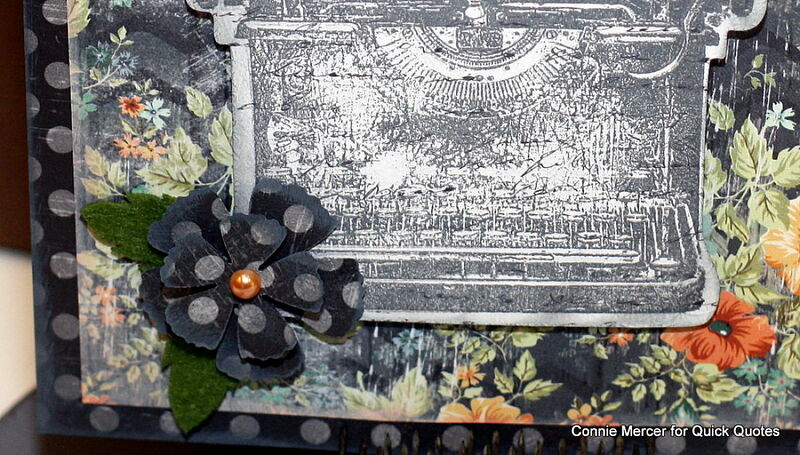 The flower was cut from a steel die and shaded with Coal Miner PowderPuff Chalk ink.